These is a series of units, each delving into one historical and social episode or another​—incorporating captivating simulations such as a trial, an audition, a band of revolutionaries, personal journals, and spy missions. Topics will be approached from multiple perspectives and stress social history, that is, the circumstances and mindset of the rank and file and otherwise ordinary people. The Cold War in general and Vietnam's struggle for independence in particular. The American Revolution: reasons, background, and the ensuing civil war. The contrast with the French Revolution. 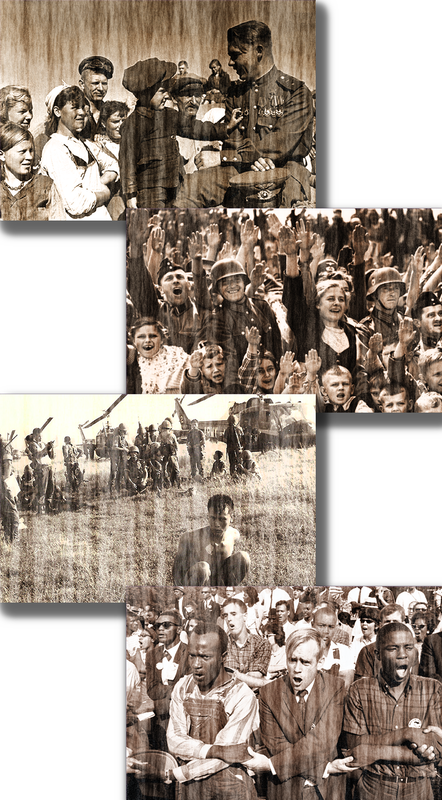 The rise of Nazi Germany and the Holocaust. The communism takeover in Russia: context, reasons, early decades, and key takeaways. Legacy and transformation of the 60s: civil rights, social justice, modern feminism, loss of moral authority and the desire for redemption. time commitment: 10 sessions, each 90 minutes long. The biggest environmental disaster in American history: The Dust Bowl, context, events, and aftermath. The most intractable political conflict: the Palestinian-Israeli conflict, roots, reasons, and history. Art history: analyzing and displaying select works by Van Gogh, Emile Nolde, Otto Dix, Max Beckmann, Pablo Picasso, Max Ernest, Francesco Clemente, Jörg Immendorff, Peter Angermann, and Igor Morski. Early Kibbutizm: communal, utopian settlements that prospered. Looking at their unique economy, child rearing practices, and radical ​egalitarianism. time commitment: 8 sessions, each 90 minutes long.